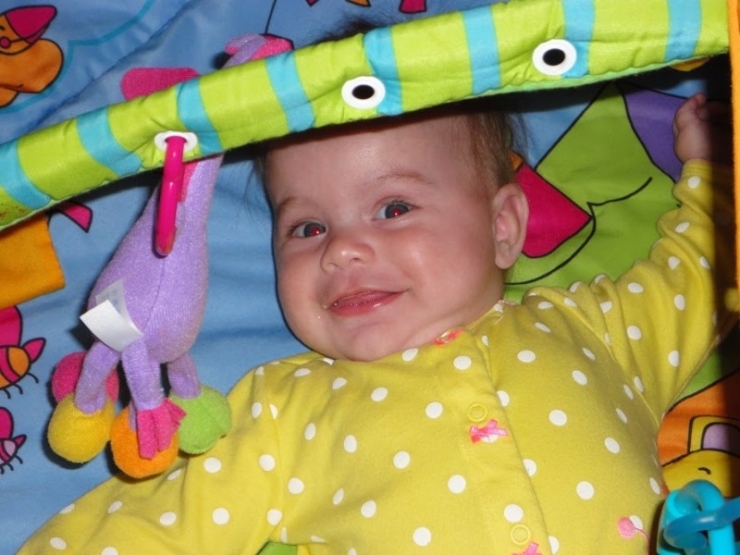 Alexa was in her crib, having a full-blown, total-body seizure. 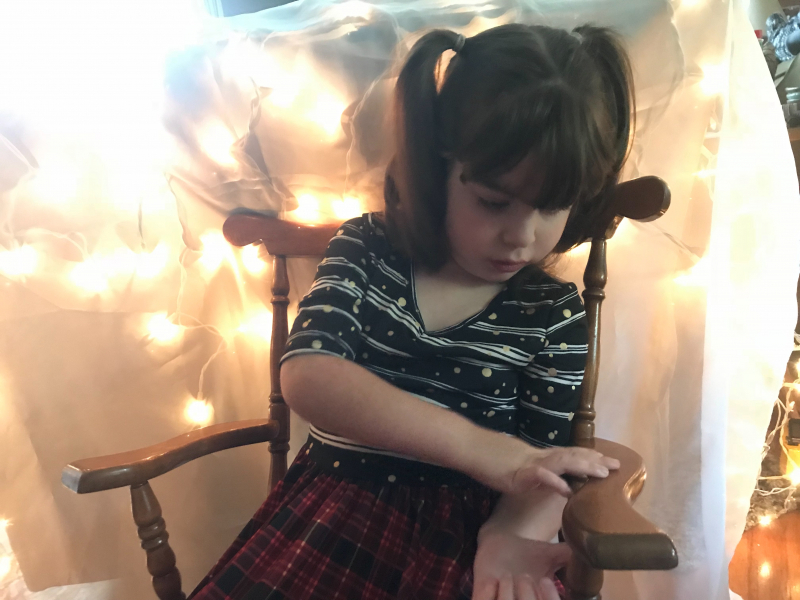 Her parents were in shock because Alexa had never had an episode like this before, but they were also both experiencing the sinking feeling of déjà vu. 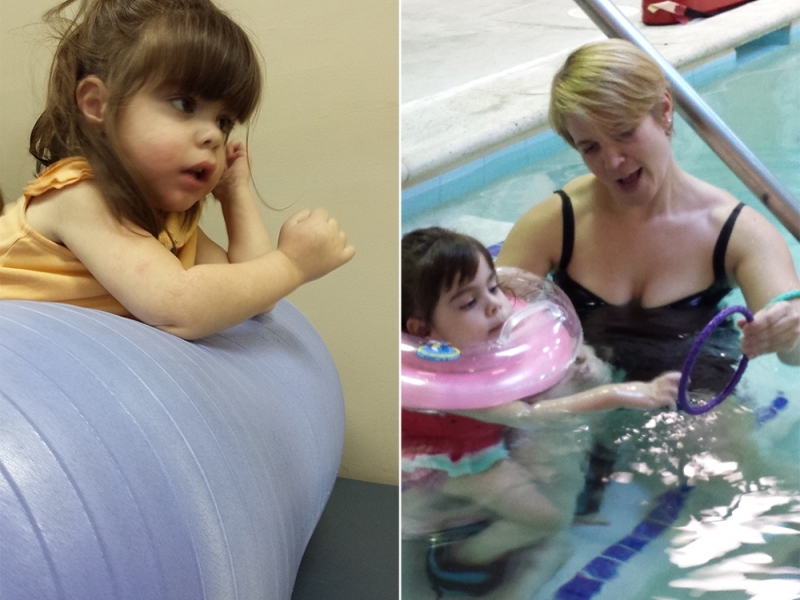 They had seen these seizures before— only not with Alexa, with their daughter Holly. Holly was the second daughter for the Linthicums. They already had a beautiful, healthy 2-year-old named Hailey. When they found out they were pregnant with their second girl, they had no reason to believe this baby would be any different. After a perfect pregnancy, Holly came out screaming. And then the screaming didn’t stop. This was the first of Holly’s symptoms that would leave doctors scratching their heads, but it wouldn’t be the last. Mother’s intuition was right. Something was very wrong. When the family finally found a neurologist who sided with them they tried in vain to find a diagnosis. Doctors were confounded when Holly tested negative for every test they ran on her. On paper she was the picture of health. But lurking below the surface, something sinister had a hold on Holly. 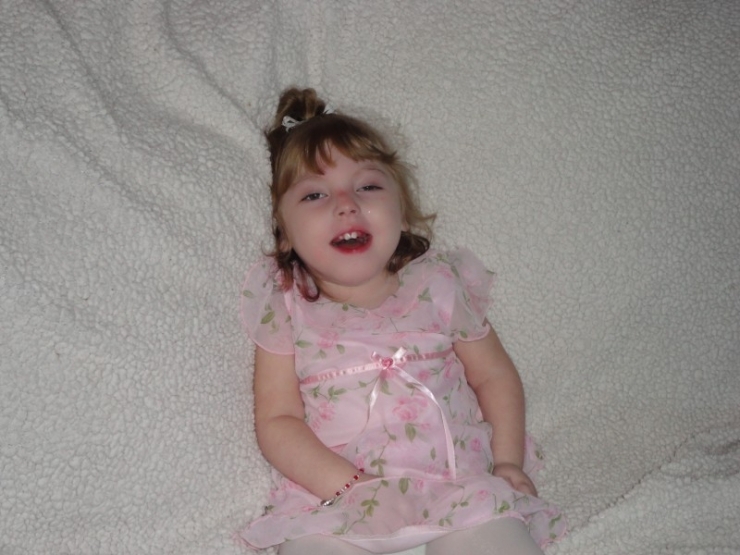 Once she began suffering from infantile spasms, her family noticed a rapid regression. Her personality evaporated, she no longer laughed, showed no interest in anything, and was “an empty shell” of herself. 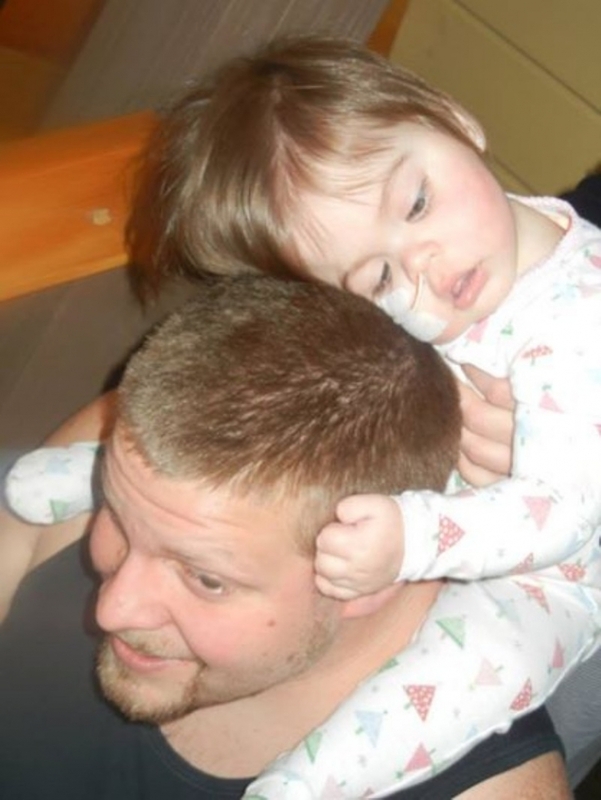 At 2 years, 4 months, and 24 days, Holly lost her battle with a disease that was never given a name. Holly was gone, but Ashleigh and Dave had always known they wanted more children. They sought advice from a trusted genetics doctor who assured the couple there was no reason they shouldn’t have a healthy baby. 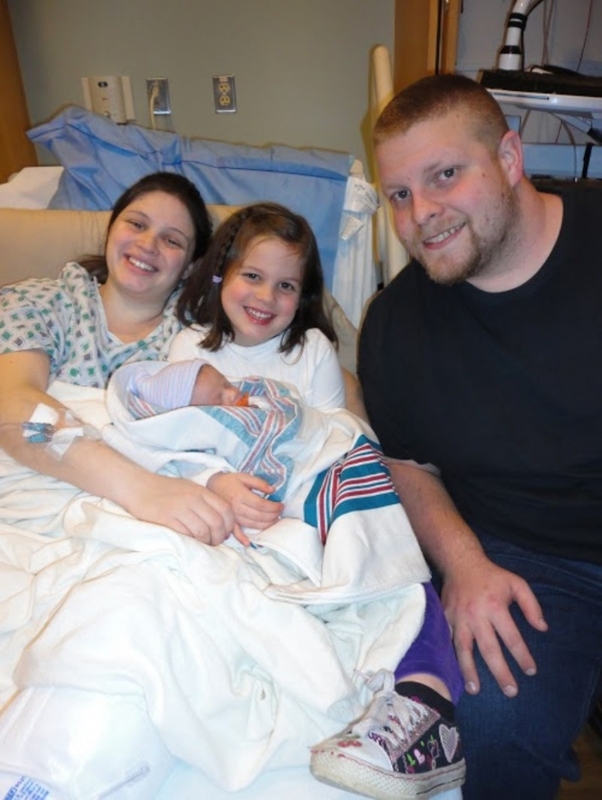 Following a more difficult pregnancy, Ashleigh gave birth to the couple’s third daughter, Alexa. She didn’t take to nursing, and would periodically scream and cry, but the similarities with Holly ended there. Then one day Ashleigh noticed her daughter had a twitch. 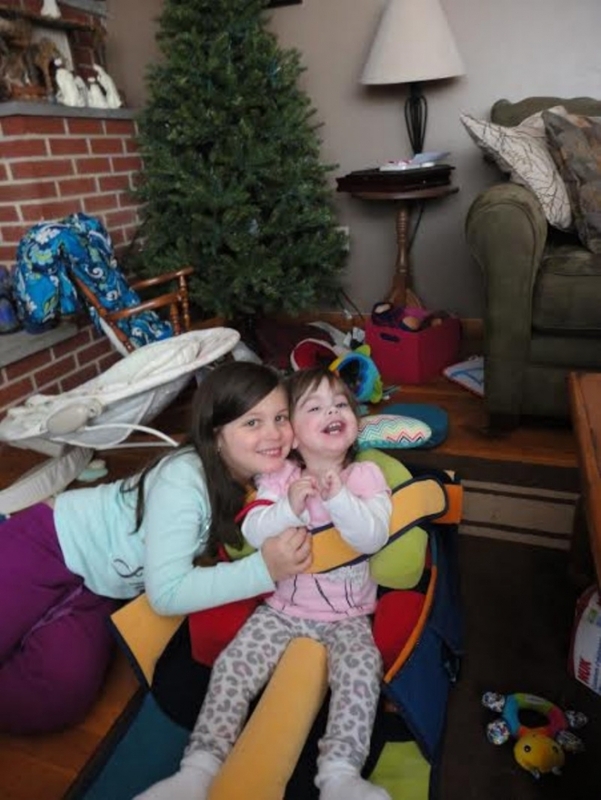 When Alexa had her first seizure, there was no room for doubt. The familiar yet unknown darkness had returned. 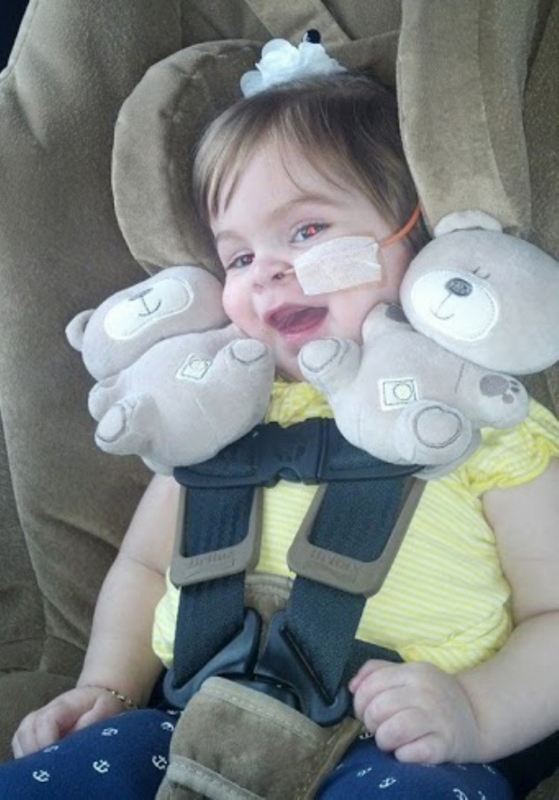 Two days later, Alexa was admitted to the hospital for testing. As the family waited for results, they were able to observe their daughter’s development more objectively. Although her personality continued to be bubbly and sweet, she wasn’t meeting milestones like holding her head up or rolling over. And then, one cold February day, the family got the call they had been waiting for. Yes, sometimes fate plays a hand. Holly changed forever her sister’s life— if not for her, the family would have lost two daughters without knowing why. For a family that has been through so much, they ask for very little. Because they kept all of Holly’s equipment, they only asked Chive Charities for a chair with an adjustment, a PlayPak, and a swingset. 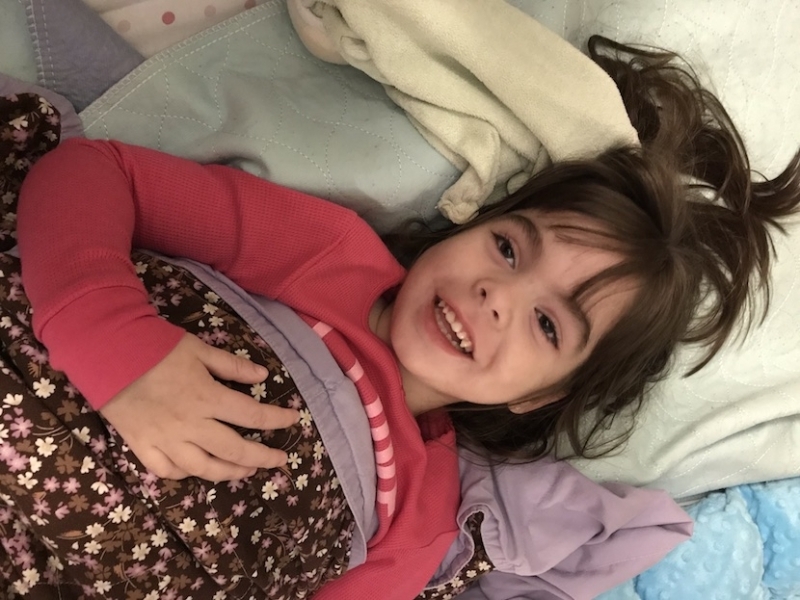 We were honored to help provide for Alexa something that “makes her feel like a part of the world for as long as she can.” Immediately, Chive Charities came through with the $5,000 grant that would bring a little more joy and ease into Alexa's life. This is Holly, pictured here about a month before she passed away. In the last days of her life, "those smiles got farther and fewer between so we loved and cherished every one of them," said mom Ashleigh. "She's such a Daddy's girl," says Ashleigh. "She lays on the floor, just playing, and will stop to blink softly in his direction. When they lock eyes, she grins from ear to ear." 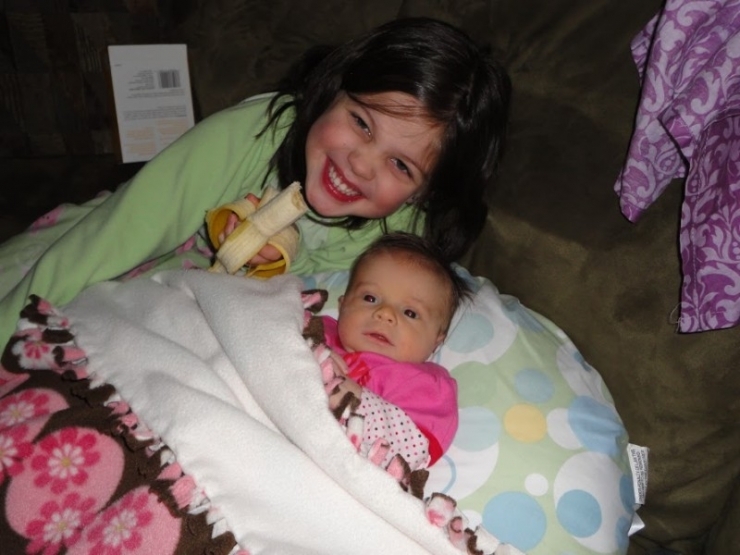 Proud big sister Hailey with Alexa. Here's our Daddy's girl with her favorite guy. Ashleigh also wrote to us that she would "love to have an extra seat for her so she can sit eye level with him while she's at home." Chive Nation made it happen. 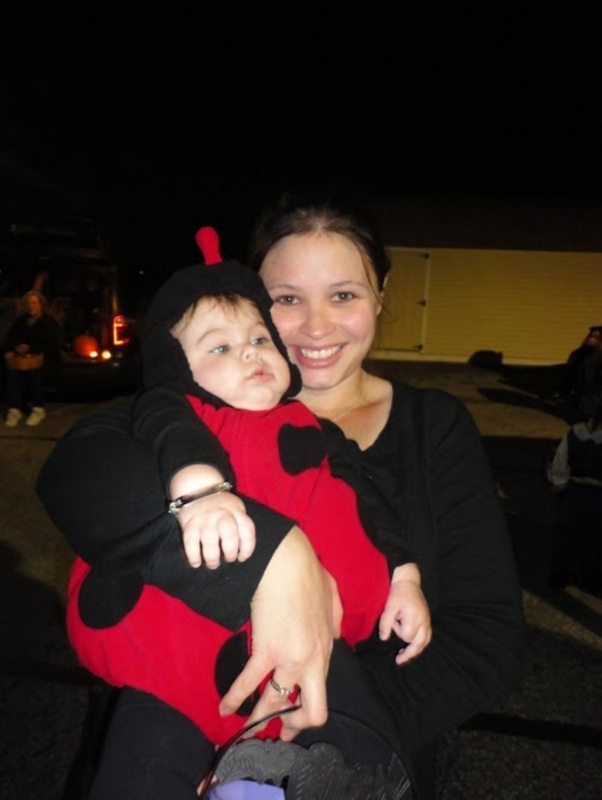 Mom Ashleigh with her ladybug, Miss Alexa. 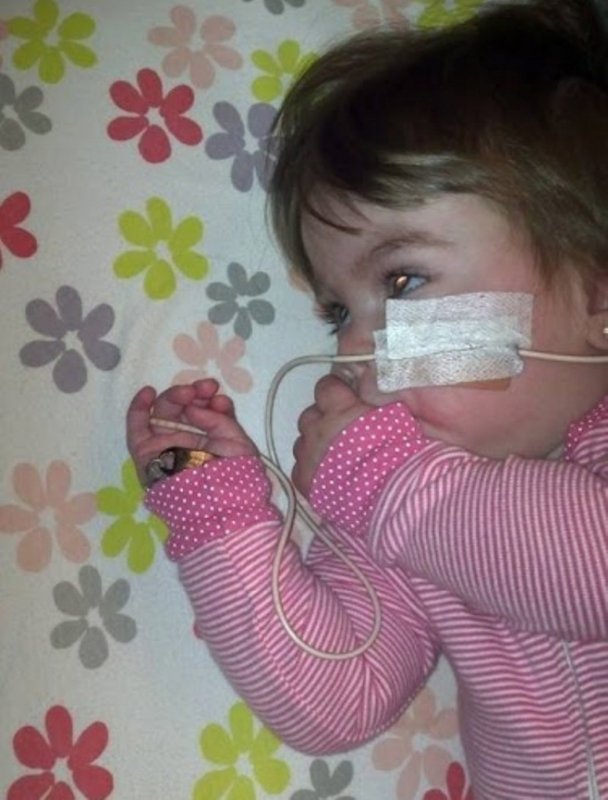 Here's our fighter being brave when she got her G-tube administered. "She loves to throw her head around, she thinks it's funny." Here's the comedian sharing that smile again. Alexa and sweet big sister Hailey having fun in Alexa's new PlayPak! 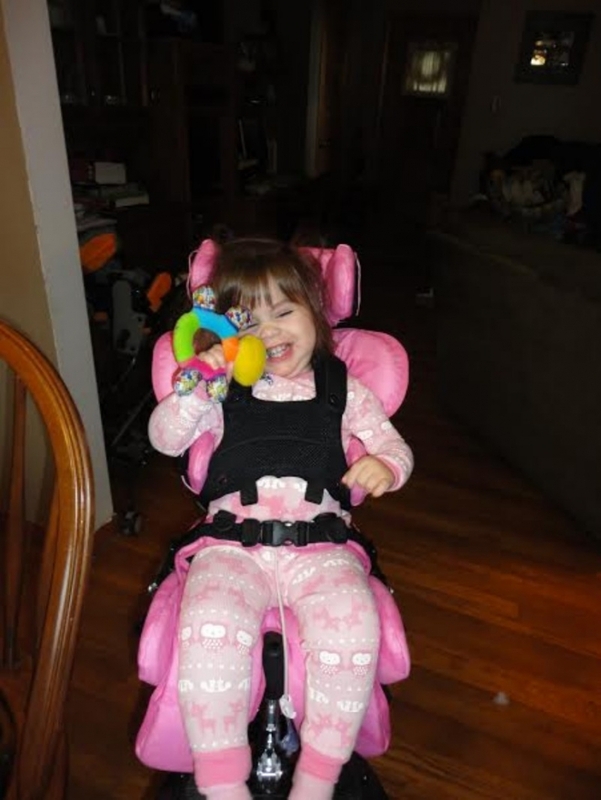 With her new Leckey Squiggles chair that was purchased by Chivers, the physical burden on mom Ashleigh is much lighter. Because of the new design and adjustment, Alexa is protected from choking on her tongue and keeping her body from caving in on itself. The chair will also enable Alexa to see and experience as much as she can, every day.